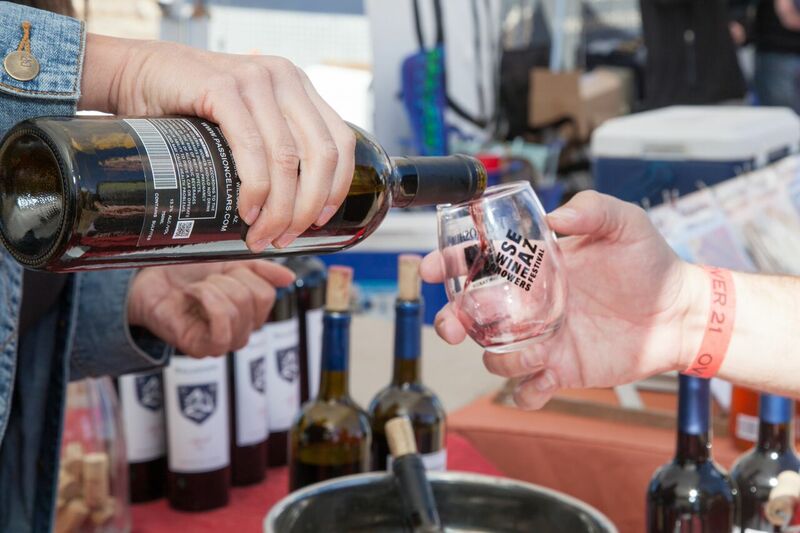 The Sixth Annual Arizona Wine Growers Festival will be held at Kief-Joshua Vineyards April 22nd& 23rd in Sonoita, Arizona. This two-day event will feature many opportunities to not only learn more about Arizona’s World-class wines but also experience a weekend in beautiful Sonoita, Arizona. A celebration of the 33rdanniversary of Arizona’s Original and only American Viticulture Area (AVA). The Sonoita AVA was one of the first wine growing regions in the United States to be granted AVA status. New wine releases from the acclaimed winemakers of Arizona’s top 18 wineries. The Chili Appreciation Society (CASI) will host a regional two-day professional chili cook-off. Attendees will cast their vote in the People’s Choice Competition with proceeds benefitting Rotary International. Participating wineries include: Kief-Joshua Vineyards, Alcantra Winery and Vineyard, Keeling Schaefer Vineyards, Arizona Stronghold, Lightning Ridge Cellars, Page Spring Cellars, Zarpara Vineyard and Winery, Callaghan Vineyards, Passion Cellars, AZ Hops and Vines, Burning Tree, SuVino Winery, Pillsbury Wines, Village of Elgin Winery, Golden Rule Vineyards, Sonoita Vineyards, Coronado Vineyards, and Carlson Creek Vineyard. USA Today has recognized this vibrant wine-growing region as one of the Top 10 Wine Trails in the United States.